Please call round on any day - just ring the bell and wait a minute for Margit to open the shop specially for you. 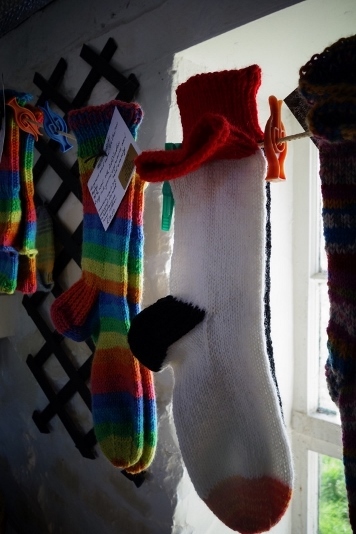 The shop has a wide range of craft goods, handmade on Papay, including greeting cards, postcards, photographs, jewellery, bags, and knitted scarfs & socks. You can also buy local books, including the new Papay guidebook. The shop has an amazing selection of wool. 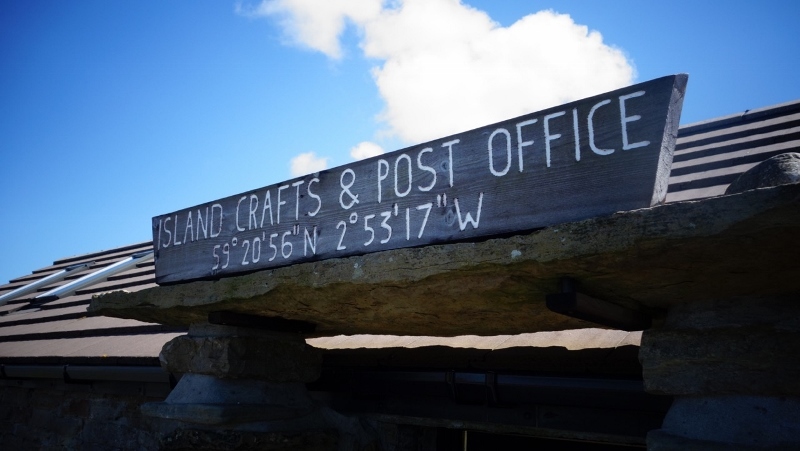 All your knitting needs can be catered for here, with yarns from royal alpaca to 'Holmie oo' light aran wool from the native sheep nearby on the Holm of Papay. 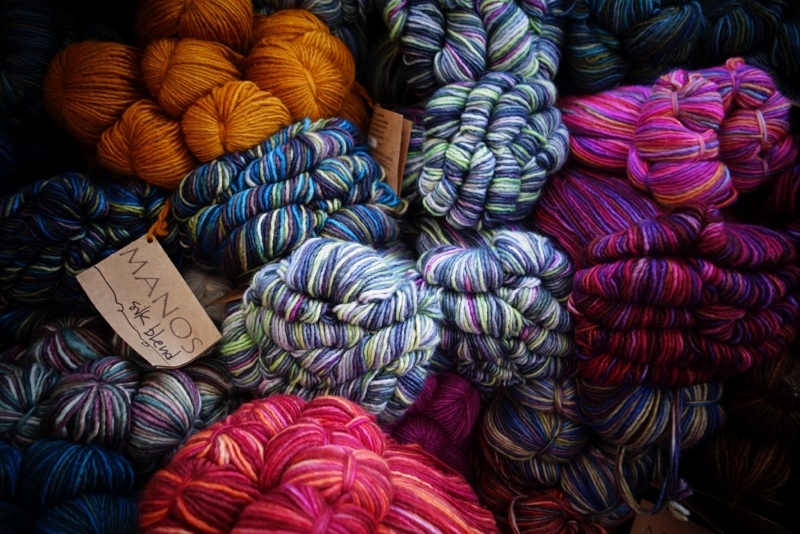 There is an enormous range of beautiful six-ply sock yarns - perhaps the best in Britain! In addition, there is a wide range of other fine wools, hand-coloured and luxury yarns, including alpaca, alpaca/merino, alpaca/cotton, silk/merino and yak, whilst a couple of balls of possum wool are available just now. Of course, knitting needles and crochet hooks are on sale too. Everything is extremely reasonably priced. Margit's hand-knitted socks are a speciality. 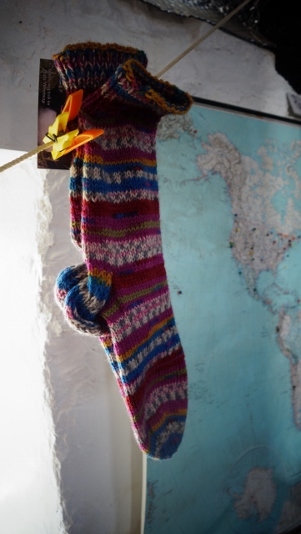 Papay socks are trotting the globe, and have been worn on all seven continents! Contact Margit Fassbender on 01857 644275 or email her at margitdaybreak@gmail.com if you'd like to make an order - or for any more information on the wool and craft shop. Post Office closed for the rest of the week, but postal collection at 7am, Monday to Saturday. The Post Office is completely handmade, all the work of the late Dr Hartmut Windrich. 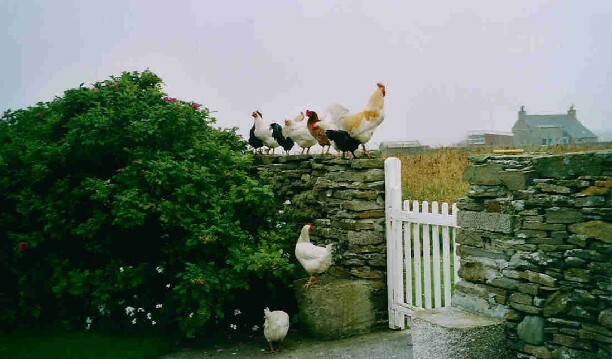 Associate staff at the Post Office include Julian Branscombe, Daisy the collie and a varied range of hens!